The first time I ever went to a Disney park was in 1999. Travis’ parents gifted us a trip to Los Angeles for our spring break during our senior year of high school. We stayed with his aunt and uncle and had a great time sight seeing in the city, including one day at Disneyland. We took analog (film!) photos of ourselves goofing off all around the park. 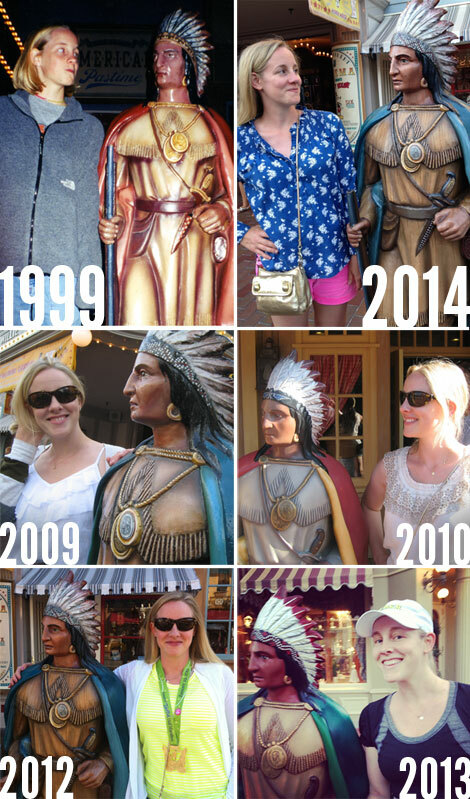 For unknown reasons, the photo of me with a Native American statue on Main Street USA become iconic — probably because it was one of the only photos I scanned into digital format — and we’ve been recreating it ever since! this blog baby is 10 years old! Ten years ago, this blog was born! It seems like only yesterday that rljart was turning 5! My early posts are unendingly embarrassing and were never exactly meant for public consumption, but it is still exciting to realize that I have been keeping this website going for a full decade. When I first started, I wanted this to be something of a lifestyle/fashion blog, but it mostly ended up being a vehicle for my Christmas list. Only my friends and family read those early posts, which is basically still true today. But now I try hard to only post things that I truly feel comfortable with being public. I also try to stay more positive. Many of the images from the early posts were lost in a previous upgrade of the site, but a couple of them survived, like the ones from 2003 seen above. 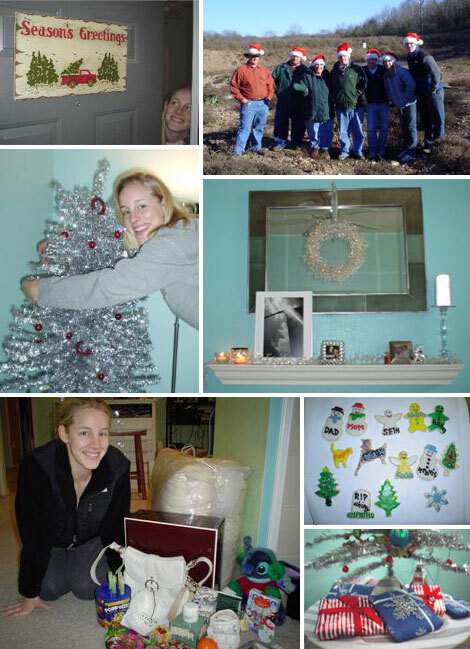 It is fun to re-visit all of the old holiday posts and to remember what it was like when Travis and I were first married. Ah, memories! Why do I keep blogging? I still sometimes find myself visiting the dream of making money with this blog — publishing ads, writing sponsored posts, reviewing products — but the reality is that Swap-bot has always been more interesting, fun, and profitable. So I focus the bulk of my time and energy there. This blog is just for fun. I love it as my digital scrapbook and a record of my life. No one else is going to write my life’s story, so why not do it myself?! 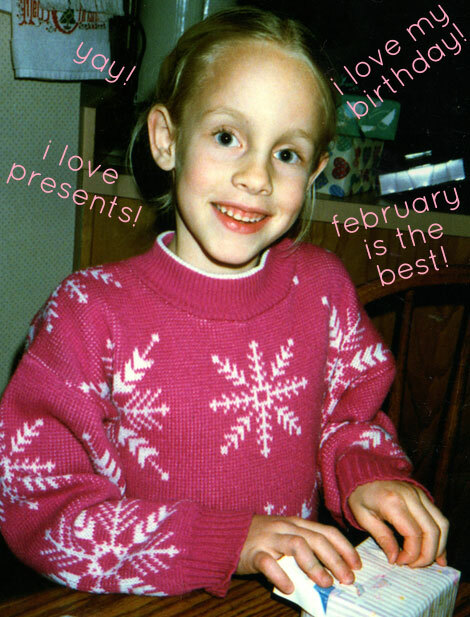 I love presents just as much as I did at my 8th birthday! Sunday was my 32nd birthday. 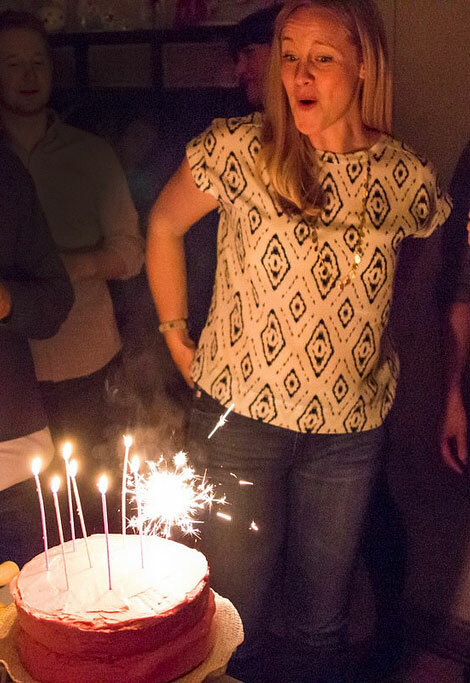 I had a little party because – hey – I love cake and balloons and friends! Complaining about age is lame, but 32 feels quite old. Like, I should probably be an adult by now… isn’t that one of the items on my to do list? What now seems like a very long time ago, I made a list of 30 things that I wanted to accomplish before turning 30. I didn’t get all of the items completed, so I converted it to a 30 WHILE 30 list, then a 31 while 31 list. I still haven’t gotten all of the items checked off, so I am turning it into an ongoing project. I’ll carry the list over each year, crossing off the things I finish and adding new items to fill out the list to match my birthday number — this year, 32! ♥ Visit the Museum of the City of New York. ♥ Eat the Moules Frites at Balthazar. 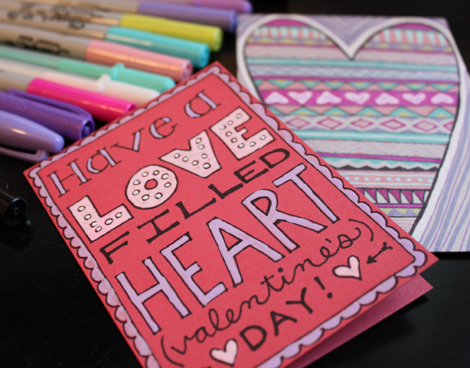 ♥ Create a new craft tutorial for Swap-bot. ♥ Stop biting my nails. For good. ♥ Redesign the Swap-bot homepage. ♥ Get super-comfortable using our DSLR camera. ♥ Be noticeably sweeter to my husband. ♥ Run a marathon in 4:30. ♥ Make marinara sauce from scratch. ♥ Visit the Bronx Zoo. ♥ Make Crusher a super-cute Halloween costume. ♥ Try to live in the moment. ♥ Start taking a weekly yoga class. Changing this to: Cross train once a week. ♥ Do all of my mending. ♥ Make cupcakes with some sort of filling. ♥ Reduce my internal negativity. ♥ Call my brothers and sisters-in-law every week (or at least more frequently). ♥ Get a unicorn face painting! ♥ Set up an online Swap-bot merch store. ♥ Run a trail marathon. ♥ Visit the New York Transit Museum. ♥ Bake a loaf of bread from scratch. 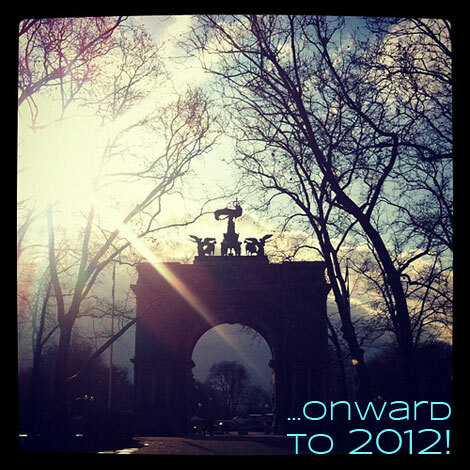 ♥ Embark on a grand adventure! This list could get really long! ♥ Experience Mardi Gras in New Orleans! Had a great time with my brother Seth. 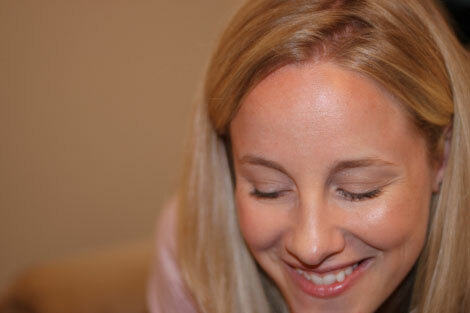 ♥ Learn to tell a really funny, family-friendly joke. Why did the fish get kicked out of school? ………because he was caught with sea WEED! ♥ Figure out how to style my hair in loose waves/curls. I think this counts. ♥ Visit The Cloisters. Went with mom & dad in June. ♥ Run the San Diego Marathon. For the second time. Done! ♥ Attend a taping of the Wendy Williams Show. Done and it was awesome. ♥ Take an overnight trip with my husband that is not at a relative’s house. ♥ Take my donation pile to the thrift store. Housing Works got a big pile! ♥ Buy a really beautiful and practical dress. Thank you Rebecca Taylor! ♥ Go to dinner at Al Di La. ♥ Run the NYC marathon! ♥ Watch every episode of Tosh.0. ♥ Get the Florence + The Machine album on vinyl. ♥ Watch Meet Me in St. Louis again. ♥ Drive upstate to see the autumn foliage. 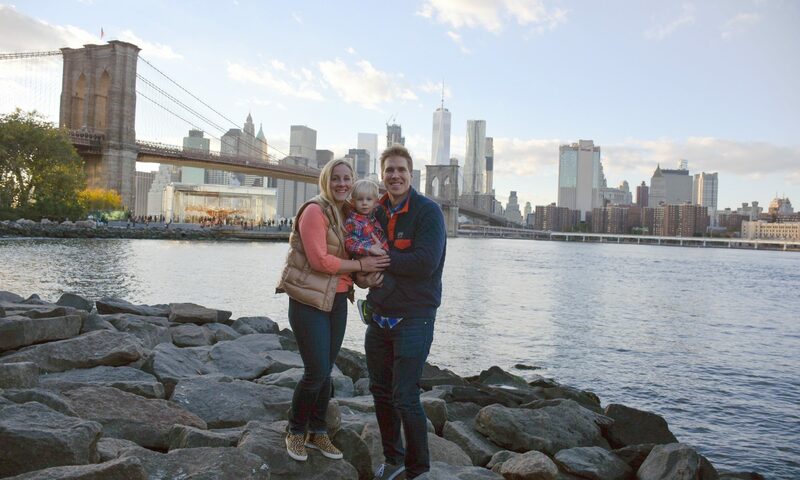 ♥ Visit all five boroughs in NYC (should happen during the marathon). ♥ Get a new laptop. Love my Air! ♥ Reduce the amount of time I spend on Facebook. Done, except for today. ♥ Buy awesome, new, flattering jeans. These from J.Crew. ♥ Force Travis to watch Star Trek: Generations with me. He loved it. What is on your list? What should I add to mine? Each year I join in on a popular blog phenomenon and chose one little word to focus on throughout the new year. This year, I choose sweetness. Sweetness sounds so cheesy and cutesy, but it is what came to mind as I thought about what I want for 2013. To me, it encompasses the ideas of kindness, acceptance, and enjoyment. I want to be sweet to others and I want to be sweet to myself. I want to be content and happy and calm and focus on the sweet things in life… no matter what 2013 has in store for me. What is your one little word for 2013? 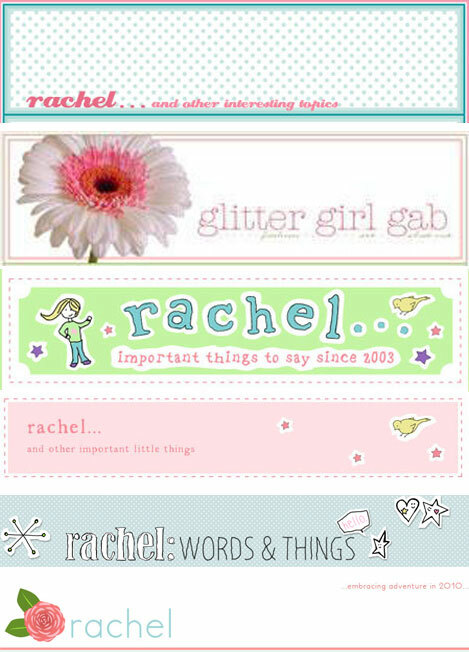 Each tagged person must post 11 things about themselves on their blog. They must also answer the 11 questions the tagger has set for them, plus create 11 new questions for the people they tag. Then they choose 11 new people to tag (no tag backs) and link to them in the post. I love historic buildings and old houses. I am very interested in religion (but I’m NOT religious) and want to know EVERYTHING about EVERY religion in the world. My favorite painter is Wayne Thiebaud. When I was a child, I wanted to be an Egyptologist when I grew up. I cannot get enough of Star Trek. I sort of have a crush on Liam Neeson. I want to learn to shoot a firearm. I really like Twitter. Follow me! I plan to travel a lot when I grow up. I wish I could serendipitously find a piece of Art Nouveau Louis Comfort Tiffany jewelry at a junk shop for 50 cents… so that I could take it on Antiques Roadshow and cause a sensation. OMG. Please say it could be Gwyneth Paltrow! … and who would write the soundtrack? On the couch with Crusher and Travis. Hmmmm. Terminator or Alien. I love a true female heroine who saves herself. Show me your tattoos, or your “would be” tattoos! I don’t have any… but I want one. This tattoo idea is from Travis, but I think it is a good one: get a hash mark on a foot for each marathon I complete. What item do you carry with you at all times? I want to be Bart, but I’m probably Marge. My blog is basically my scrapbook and I love having it as a record of what I’ve done. It is definitely just a selfish thing. No one else is going to tell my life story, so I might as well do it! Do the Freemasons secretly rule the world/control the global economy? Also, is JayZ one of them? If you could leave on a vacation right now, where would you go? Gelato, ice cream, or sorbet? If you could travel back in time (without disturbing the space-time continuum) which era would you visit first? * Tag-ees: You don’t really have to do the whole process, but 11 facts about you would be fun! You can even put them in the comments! 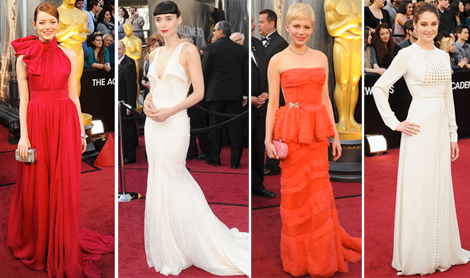 My top fashion picks from the 2012 Academy Awards! Full confession: I did NOT watch the Awards last Sunday. (Instead Travis and I watched six episodes of White Collar.) Also, I did NOT see a single one of the movies nominated for Best Picture. Not one. The only movies I saw last year were Fast Five, Cowboys Vs. Aliens, The Girl with the Dragon Tattoo, and Mission Impossible. Surprisingly, none of those fine films were nominated for Best Picture. Emma Stone was adorable in Giambattista Valli. Rooney Mara looked cool in Givenchy. Michelle Williams rocked her coral Louis Vuitton. Shailene Woodley was lovely in long-sleeved Valentino Couture. Many (including The New Yorker) picked Angelina Jolie as the best dressed, but i am bored of her. Or, maybe I’m just not a fan… what do you think? Travis and I don’t do much for Valentine’s Day. I don’t need any silly gifts (or expensive ones, for that matter) and Travis said he would have a heart attack if I sent a singing telgram to his work… so that spoils my one good idea. ha! 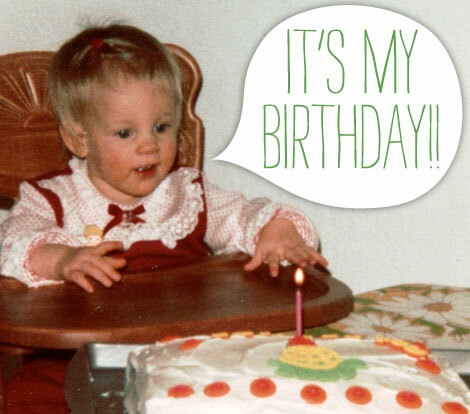 I’ve loved cake ever since my first birthday. What now seems like a very long time ago, I made a list of 30 things that I wanted to accomplish before turning 30. I didn’t get all of the items completed, so I converted it to a 30 WHILE 30 list. I still haven’t gotten all of the items checked off, so I am turning it into an ongoing project. I’ll carry the list over each year, crossing off the things I finish and adding new items to fill out the list to match my birthday number — this year, 31! ♥ Experience Mardi Gras in New Orleans! ♥ Learn to tell a really funny, family-friendly joke. ♥ Figure out how to style my hair in loose waves/curls. ♥ Do all of my mending! ♥ Call my brothers and sister-in-law every week (or at least more frequently). ♥ Run the San Diego Marathon. For the second time. ♥ Attend a taping of the Wendy Williams Show. What do you think? What else should I add to my list? Picking my favorite Golden Globe fashions is something of an annual tradition of mine. (My picks from last year.) I didn’t even watch the full ceremony this year, but I managed to catch up on the fashion online. It is amazing how fast they get the photos up after the red carpet! My very favorite was Claire Danes’ J. Mendel gown. It was a little weird and futuristic, but I thought it was a perfect, sophisticated choice for her third award win. I also liked the dresses worn by Heidi Klum, Helen Mirren, Amy Pohler, and Laura Dern. I usually love courageous and weird dress picks, but I didn’t love Angelina Jolie’s asymmetrical Atelier Versace dress. I think I may just not like red. Who wore your favorite Golden Globes look? 2011 was fun. 2012 will be epic, I think. Have a wonderful night of celebrating!